You’re on the side of the road (with your manuscript in your backpack, of course), unsure of which passerby to trust. 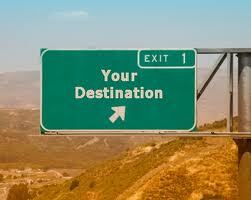 You have a destination (bestselling author), but there are several stops you must make before you arrive. There are various roads and highways you could take, but let’s face it, to save time you’d vote for the most direct route. In pouring over today’s influx of self-publishing-related material, I came across an article written in the Sydney Morning Herald (yes, the Australia one) ... and whilst at times the articles in foreign newspapers don’t necessarily apply to us here in the U.S., this one was particularly relevant. Within it is provided a 10-point guide to e-book success ... and I highly recommend it! It’s concise, direct, and gives some excellent tips to would-be or current authors who wish to take the e-route.